The grand Auto – ignition fest 2014 conducted by Arya college of Engineering and IT was a big hit among students and staff and was spoken about in the leading newspapers of the state of Rajasthan. The national level technical fest “Auto ignition 2014” was held on 5th and 6th March 2014 at Arya college of Engineering and Information Technology in Kusas, Jaipur. It was a big hit among students and staff and it was spoken about in the leading newspapers of Jaipur. The creativity of the students was incredible and it was highly visible in the shows which were put up by them. The fantastic stunt shows performed by the daring students, like riding a bike on the fire, riding on one wheel, and many others were commendable. Many other B.Tech colleges in Jaipur had come to attend this Auto Ignition show and the show was highly appreciated by each and every student. The initiative of the show was taken up by the automobile and the mechanical department of Arya college of Jaipur. As we all know that putting up a fantastic show like this, the entire credit cannot be given to the automobile and the mechanical department, but also the other departments who did the hard work and spend some sleepless s nights in the preparation of the show. As we know that a show cannot be a success without everyone’s participation, dedication and hardwork – so, we can say that it was a team work of Arya College who from the beginning till the end helped the concerned department with the show. It has been an inspiration for the other colleges also to put up some fantastic show like this. Shows like these, gives a lot of encouragement to the students to show and share their thoughts in actions. It offers them with the platform to come up with their new and innovative ideas. Students feel free, encouraged and motivated to bring their creative idea on the table and in showcasing it to the world. 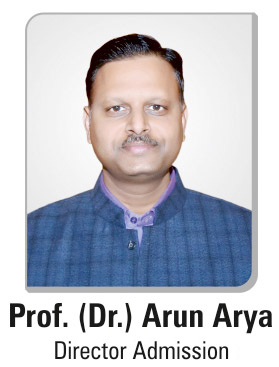 Arya College of Engineering and IT, always pushes its students to think out of the box and ride as far as possible in their imagination and in their creative world. This two day fest (5th and 6th March 2014) gave all the students a chance to showcase their talent. It is always preferred and students are always encouraged to participate in such shows. Participation is important and whether one would win or not is not important, how much one would enjoy in the participation and the preparation is all that matters.